Voldemort is definitely back-- and with a vengeance. 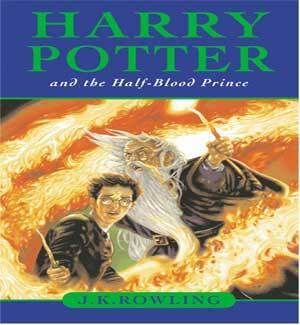 In Harry Potter and the Half-Blood Prince, Harry finds his world is again changing. Wizards and Muggles are dying despite the efforts of the Ministry of Magic and the Order of the Phoenix to stop them. The war is back on. Despite the danger, Harry and his friends, Ron and Hermione, reunite and return to the familiar life of Hogwarts for their sixth year. They find yet another 'Defense Against the Dark Arts' teacher, they begin their NEWT classes in preparation for life after Hogwarts, and Harry gets some much needed Potions help from the mysterious 'Half-Blood Prince.' Quiddich is as popular as ever, and Harry finds himself reforming his team and leading the Gryffindors. And then there is the ever popular 'Slug Club' with the new Potions teacher. Romance again comes to Hogwarts, and is a welcome balance to the grim happenings elsewhere. Harry deeply questions his own feelings while trying to understand the effect it is having on his friends. And yet while life at Hogwarts continues, the deaths also continue, and someone is trying to bring it into Hogwart's. Danger seems to lurk around every corner, and Harry is as determined as ever to unmask it. Dumbledore takes Harry under his guidance and together they try to unlock the secret of what is Voldemort and find a way to stop him before it is too late. Ultimately, Harry finds he must accept what he must do as 'The Chosen One' against Voldemort ... and choose between what is right, and what is easy. Voldemort and his "Death Eaters" openly wreak chaos throughout Britain. Following public outcry over Cornelius Fudge's mishandling of the Voldemort situation, he is sacked, and is succeeded by Rufus Scrimgeour as the new Minister for Magic. As a result, Arthur Weasley receives a promotion following the set-up of several new offices. 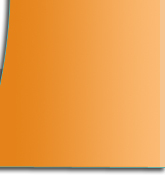 The new windfall greatly improves the family's financial situation. At his home in Spinner's End, Severus Snape receives a visit from Draco Malfoy's mother Narcissa and her sister, Bellatrix Lestrange. Narcissa swears Snape to an Unbreakable Vow, ensuring he will protect Draco and, should her son fail, complete his mission for the Dark Lord. As school begins, Snape is announced as the new Defence Against the Dark Arts instructor. With unwitting help from Harry Potter, Albus Dumbledore has persuaded retired teacher, Horace Slughorn, to resume his old Potions position. Because Slughorn only requires a minimum "E" grade ("Exceeds Expectations") in O.W.L. exams for N.E.W.T. Potion classes, Harry and Ron are now able to sign up. Slughorn lends Harry an old textbook marked as the property of "The Half-Blood Prince." The talented former owner's handwritten notes help Harry excel in the class, gaining a reputation worthy of Hermione. As a reward, Slughorn gives him a small vial of Felix Felicis, a good luck potion. Suspecting Malfoy may be a Death Eater, Harry confides his suspicions to Dumbledore, who appears unconcerned, as do Ron and Hermione. Later it is revealed that Dumbledore entrusted Snape to investigate. Just when Ron and Hermione seem on the verge of a relationship, Ron begins dating Lavender Brown � although it is mostly to spite Hermione, who, Ron learned, kissed Viktor Krum. Ron and Hermione continually bicker until Ron is accidentally poisoned. Hermione is so distraught that she and Ron end their feud, and Ron soon breaks up with Lavender. Dumbledore begins giving Harry private lessons using his Pensieve to view collected memories about Voldemort's past. A memory belonging to Slughorn is partially missing. Aided by the Felix Felicis potion, Harry retrieves the missing portion from him. Dumbledore speculates that Voldemort split his soul into seven parts, storing six pieces in Horcruxes to grant himself immortality, while leaving the seventh in his body. Two Horcruxes have been destroyed (Tom Riddle's diary by Harry[HP2] and Marvolo Gaunt's ring by Dumbledore). After this time, Harry and Ginny Weasley begin a relationship. As Harry and Dumbledore leave to find another Horcrux (Salazar Slytherin's locket), Harry leaves the rest of his Felix Felicis to Ron, Hermione and Ginny, for he suspects that Draco Malfoy is up to something again. Giving them swift instructions to patrol the corridors, Harry disapparates with Dumbledore to a secret, hidden cave. Upon retrieving the Horcrux, Dumbledore is seriously weakened. Returning to the castle, they find Lord Voldemort's Dark Mark hovering over Hogwarts. They are ambushed by Draco Malfoy atop the Astronomy Tower. Dumbledore paralyzes Harry, who is hidden under his Invisibility Cloak, just before Draco disarms him. Draco reveals that he helped the Death Eaters enter Hogwarts, although Dumbledore discerns that the obviously frightened boy was coerced into aiding Voldemort's followers. Death Eaters appear and urge Draco to fulfil his mission�killing Dumbledore�but Draco hesitates. Snape arrives; Dumbledore pleads with Snape, though it is unclear exactly what he is pleading for. Snape, at the end of the plea, kills Dumbledore with the Avada Kedavra killing curse. The force of the spell hurls Dumbledore's body over the tower wall. Upon Dumbledore's death, Harry is freed from the spell Dumbledore placed on him. The Death Eaters flee, and Harry pursues Snape, who identifies himself as the Half-Blood Prince in a short-lived duel before escaping with Malfoy. Harry recovers the locket from Dumbledore's body only to discover it is a fake. Inside is a note from someone with the initials "R.A.B.". The real Horcrux has been stolen and will be destroyed with the hope that when Voldemort meets his match he "will be mortal once more." The school year ends abruptly with Dumbledore's funeral. Professor McGonagall is appointed Hogwarts' interim headmistress, although the school may remain closed. Regardless, Harry decides to leave Hogwarts to search for the remaining Horcruxes. Hermione and Ron vow to accompany him, while Harry ends his relationship with Ginny to protect her from Voldemort. 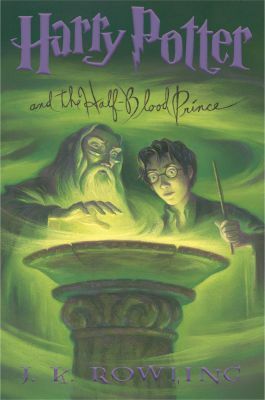 The book ends with Harry's heart lifting at the thought that there will be one last golden day with his friends � at Bill Weasley and Fleur Delacour's wedding � before he has to face the task that lies ahead..